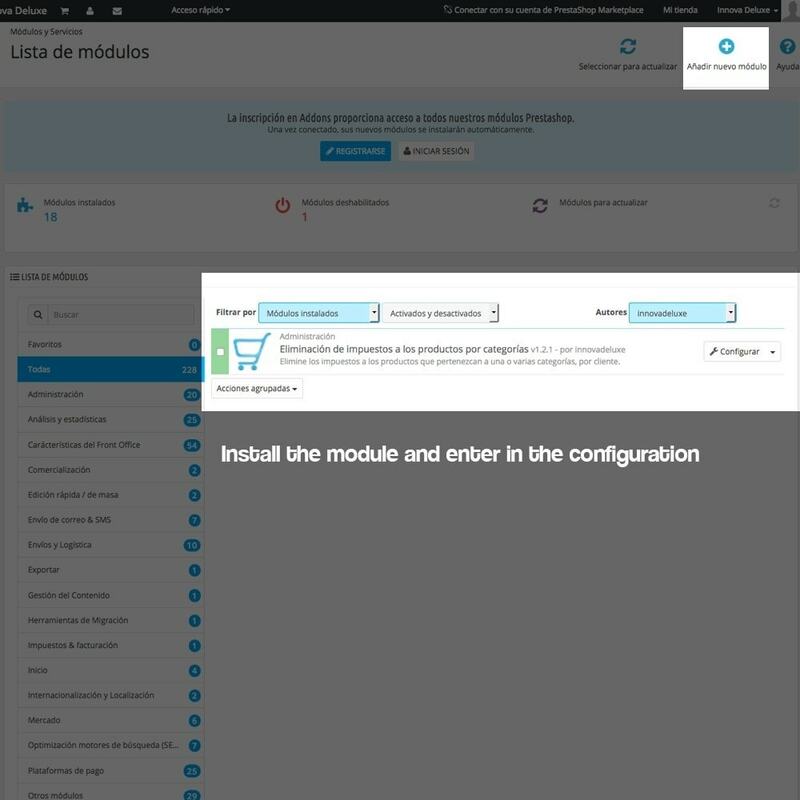 What is reverse charge and when is it applied? 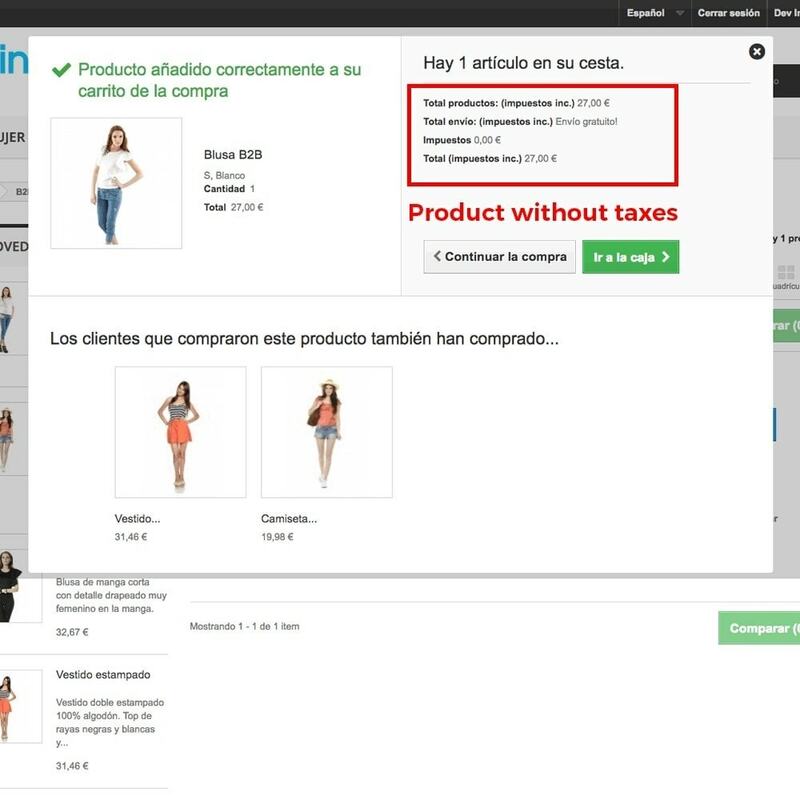 This rule is applied in Spain and Italy, in other countries it can be different and can affect other kind of products. 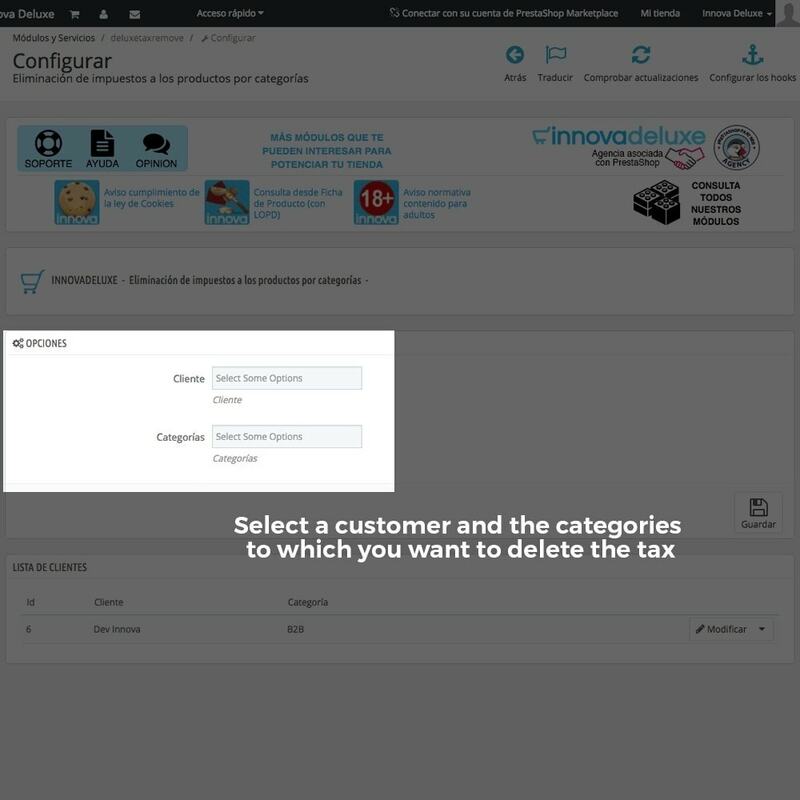 With this module you’ll be able to remove taxes for the categories you need and for the specific customer you need and this way, accomplish your country laws. 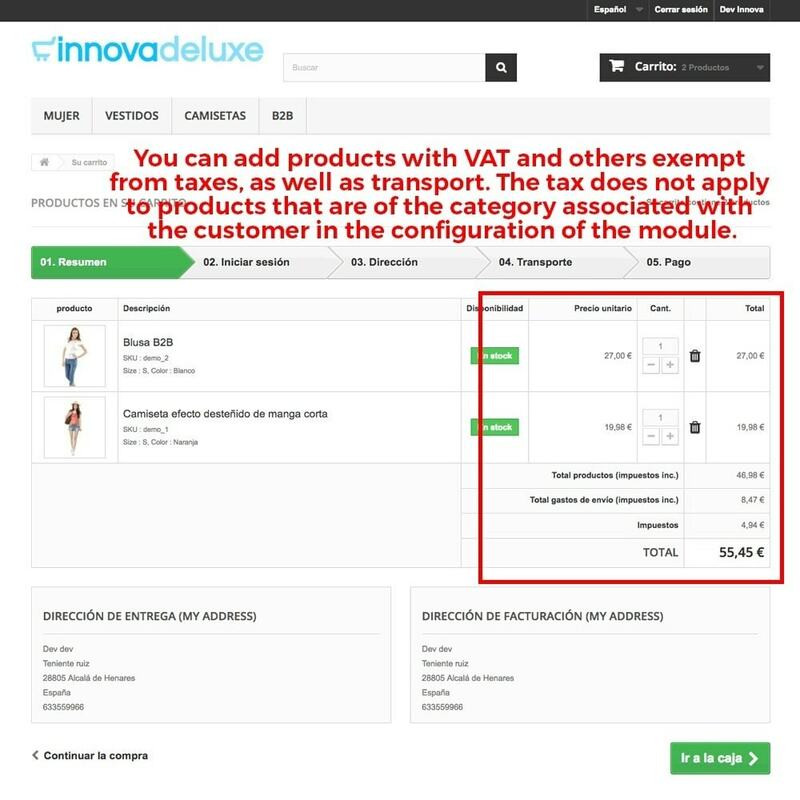 With this module you’ll be able to remove VAT for as many customers with associated categories as you need. 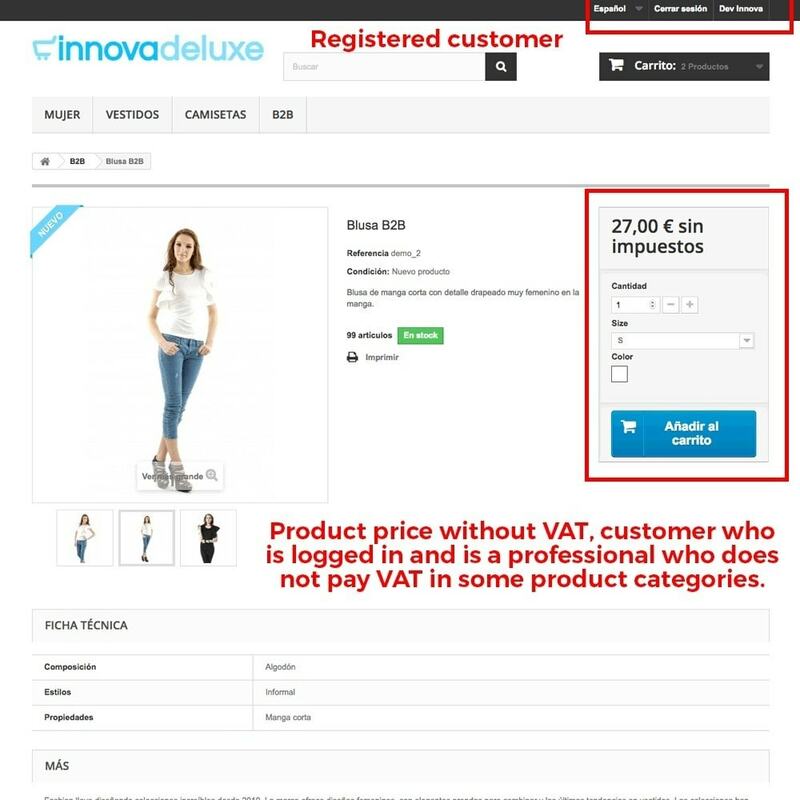 Taxes will not be applied for this customers on products belonging to the associated categories. 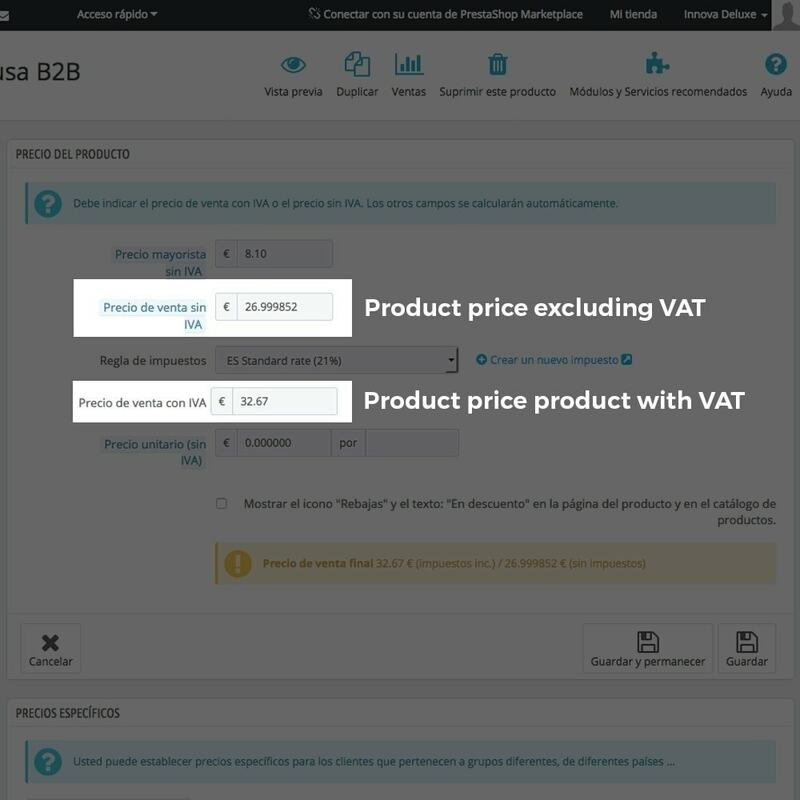 This module is focused on B2B business with VAT extent products for professionals, for example technology stores selling laptops, tablets, mobile phones, game consoles or shops selling silver, gold, platinum or palladium. 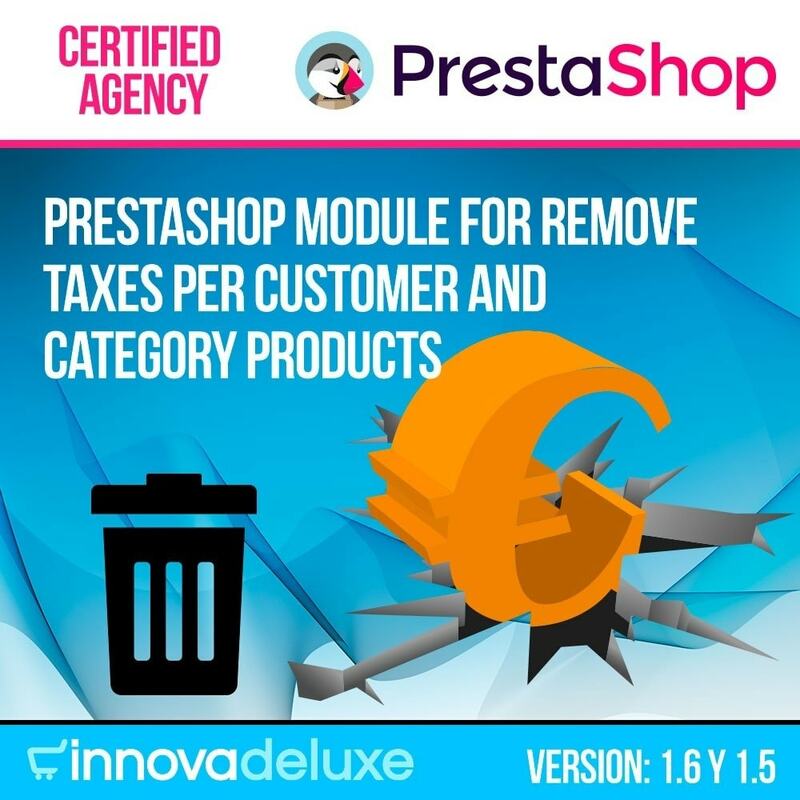 With this module you’ll be able to sell in your store products associated to certain categories without taxes an the rest of your products with taxes applied, and you’ll be able to do this only for the customers you want. 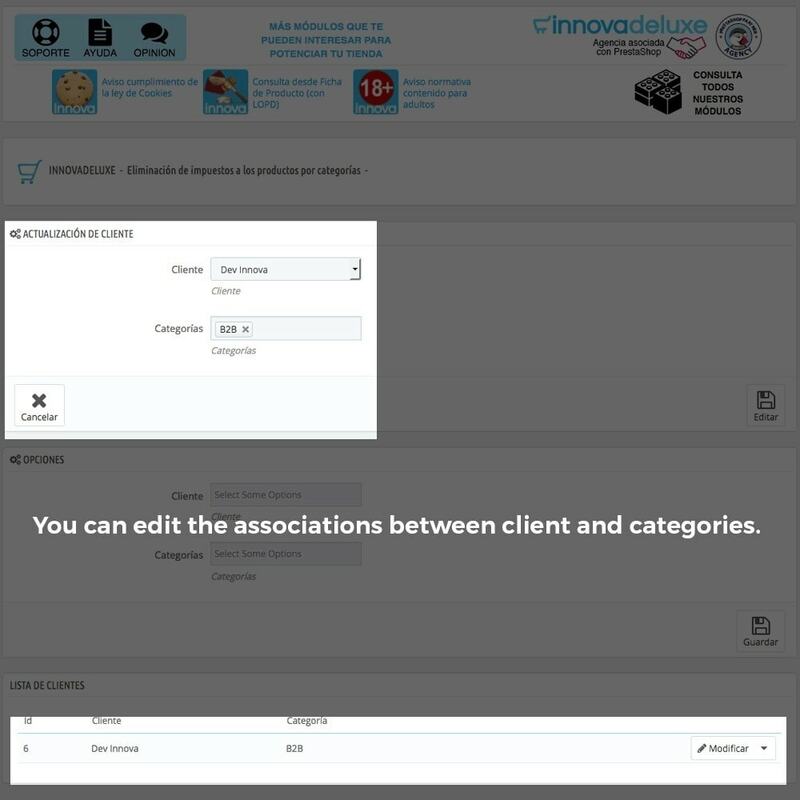 Then, select the categories you want taxes to be removed. 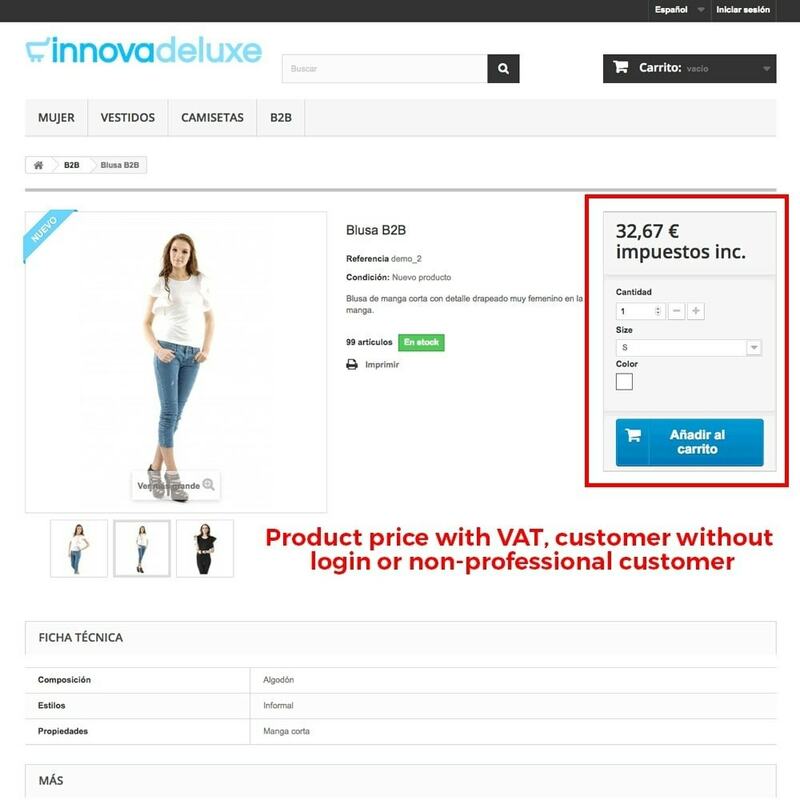 If your customer is a professional reseller selling for example, technology (laptops, tablets, mobile phones or game consoles) or he is a reseller of precious metals (Gold, Silver, Platinum or Palladium), he will be able to purchase in your store without paying taxes by using the taxes exemption available in some countries as they are Spain or Italy. 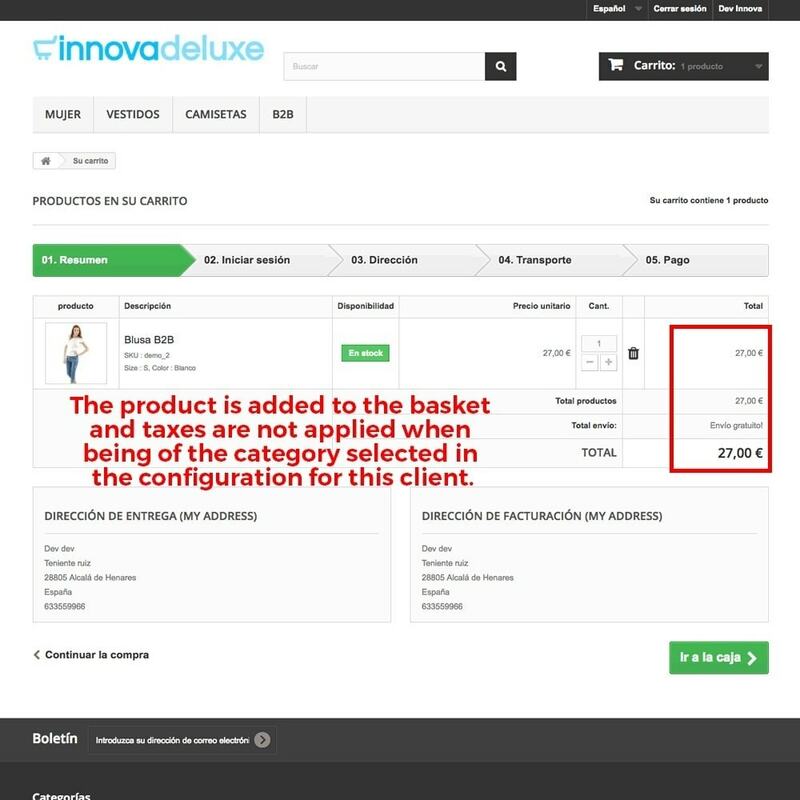 Better known as reverse charge rule, this rule allows your customers not pay taxes for specific kinds of products, but they do for the rest of products, accomplishing law. 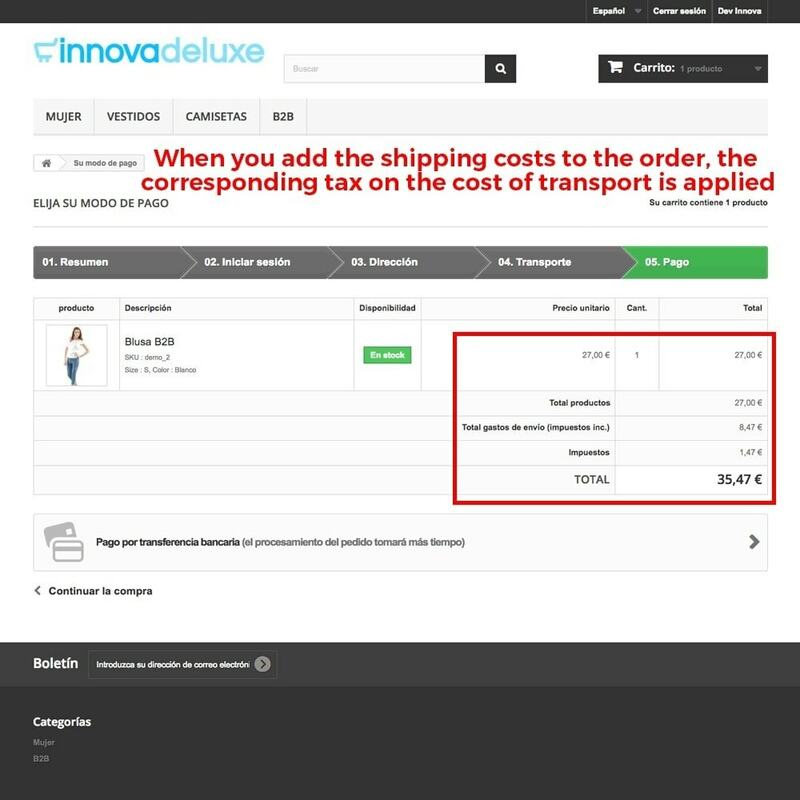 This law, can be different in other countries.